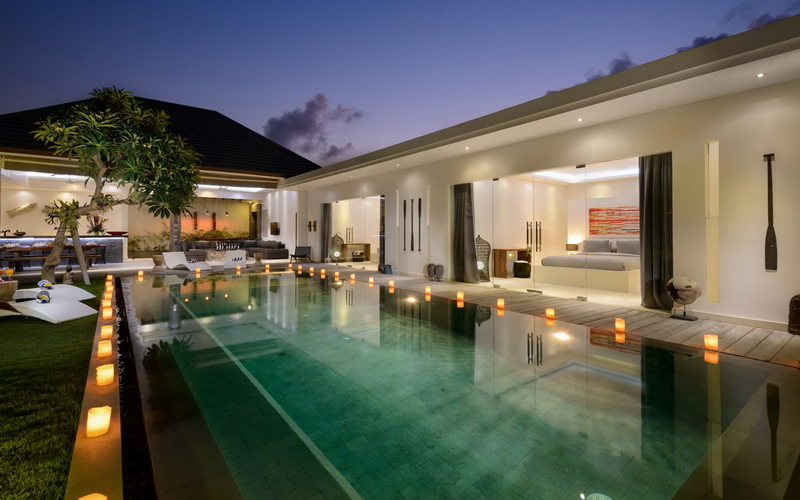 From $ 374 $ 337AUD per night We have direct contracts with most villa owners. We don't add any booking fees. We are 100% transparent with no nasty surprises. 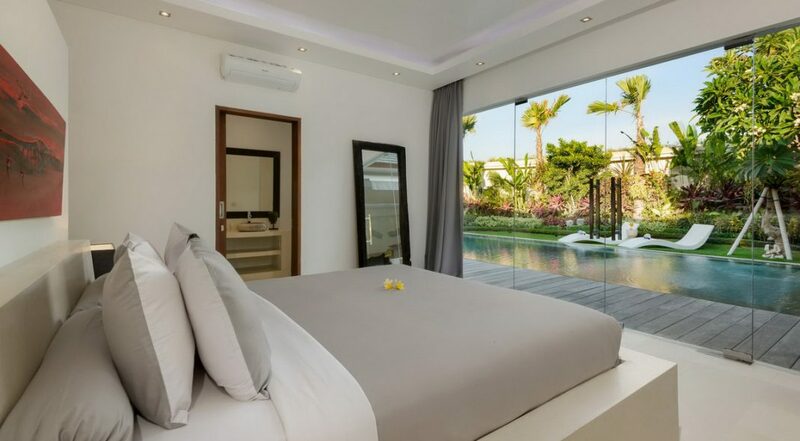 Budget Bali villa for a great holiday - rent this now! The garden is really fabulous and the swimming pool is HUGE – the children are going to love it. 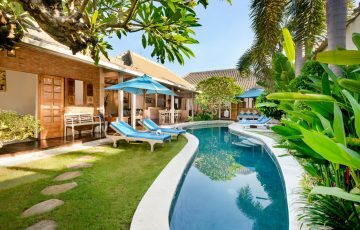 Villa Kyah is a 3 bedroom Seminyak holiday villa rental & sits at the end of a quiet lane within the safe confines of a secure gated holiday villa complex. 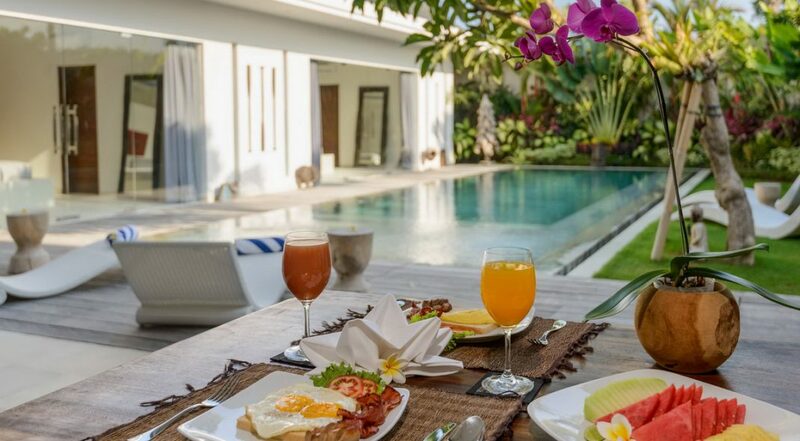 The villa provides peace and serenity away from the central tourist area; however it will take you no more than 5 minutes by scooter or taxi to be at Seminyak’s favorite tourist hub Jalan Oberoi,“ Eat Street”. 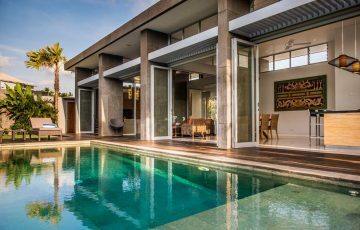 Villa Kyah provides modern tropical accommodation for 6 guests with all the amenities for a very comfortable holiday in Bali. 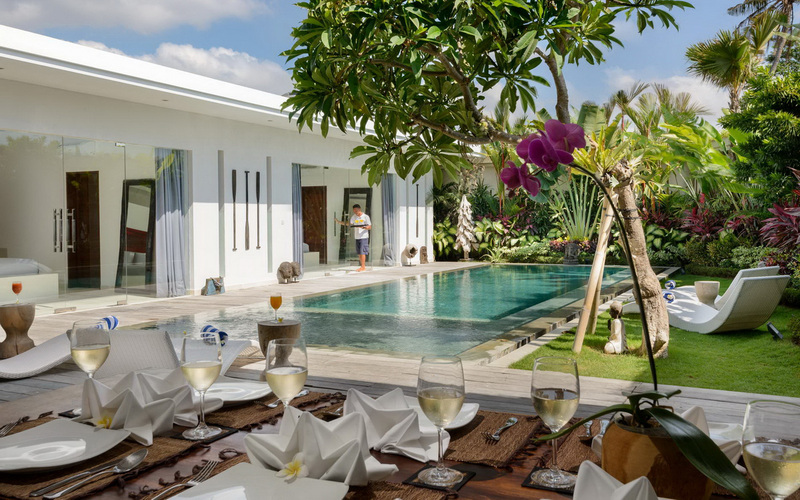 The friendly Balinese staff at Villa Kyah will take great care of you throughout your stay. 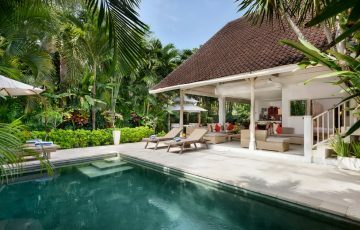 The outdoor area is perfect for family and friends to enjoy the tropical warmth that Bali is famous for. 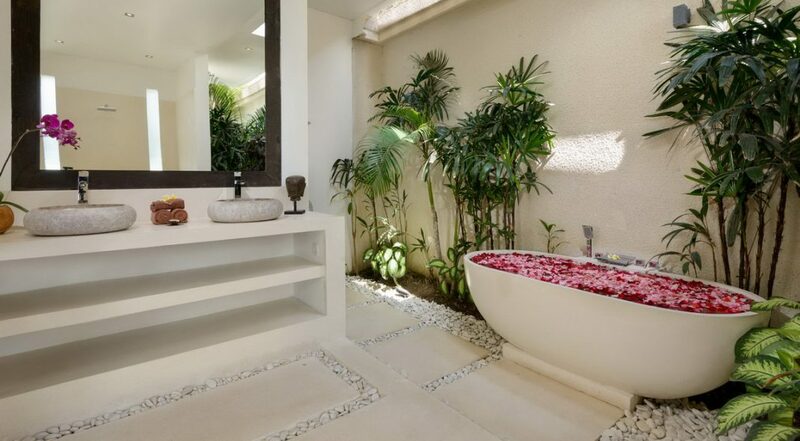 High walls ensure complete privacy and the array of tropical plants and palms are perfectly manicured along with the grassed areas. 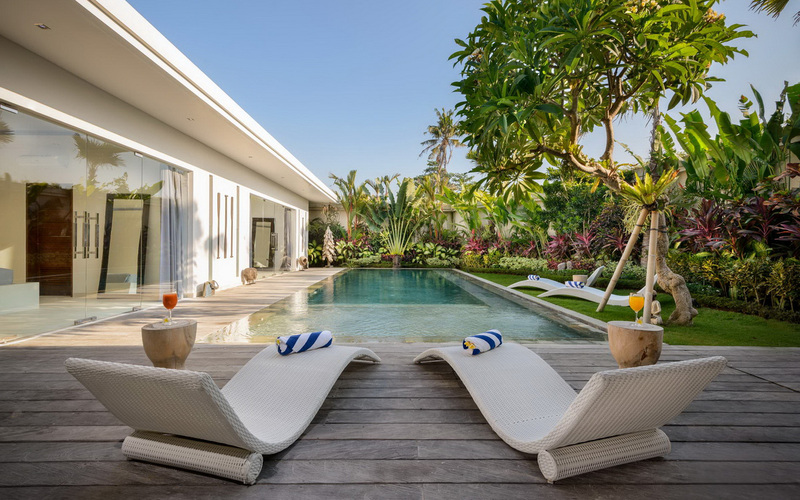 Relax in one of the stylish rattan sun lounges on the lawn, expansive pool deck or even place them in the shallows of the pool to stay cool while you work on that holiday tan. 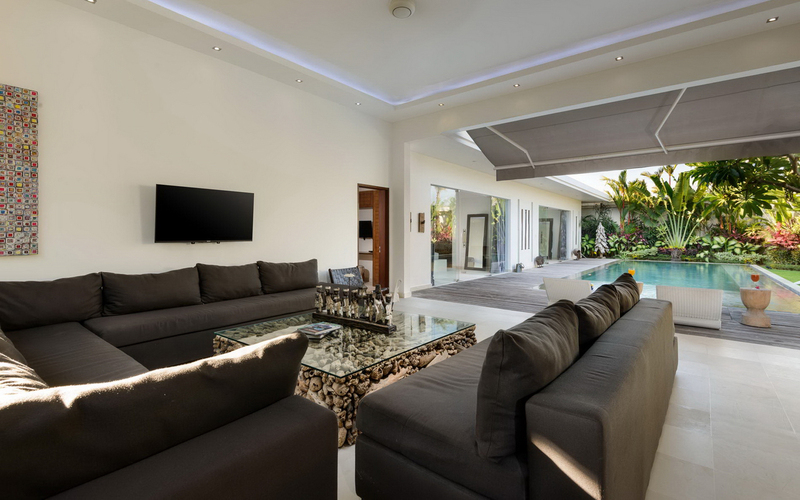 The open plan living area at the end of the pool features open-air tropical living, a large comfy sofa provides plenty of space for guests to enjoy a movie together or live sport on the cable TV. 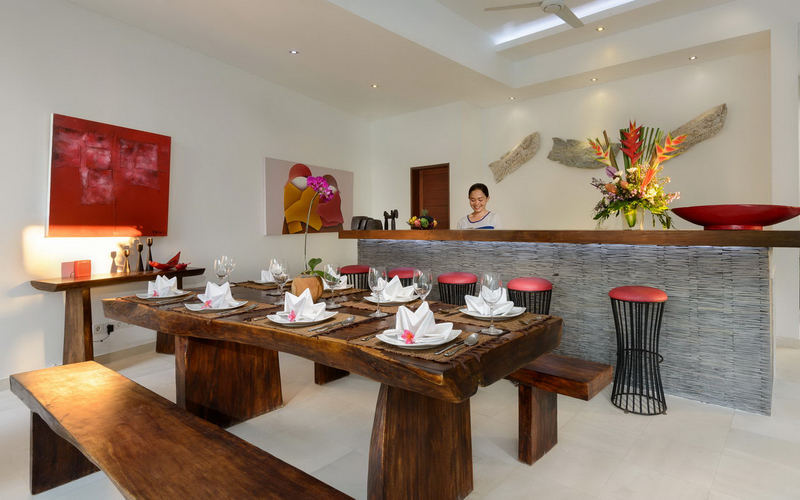 The fully equipped western style kitchen is perfect for preparing small snacks right up to three course dinners and the solid timber dining table can comfortably seat 8 guests. 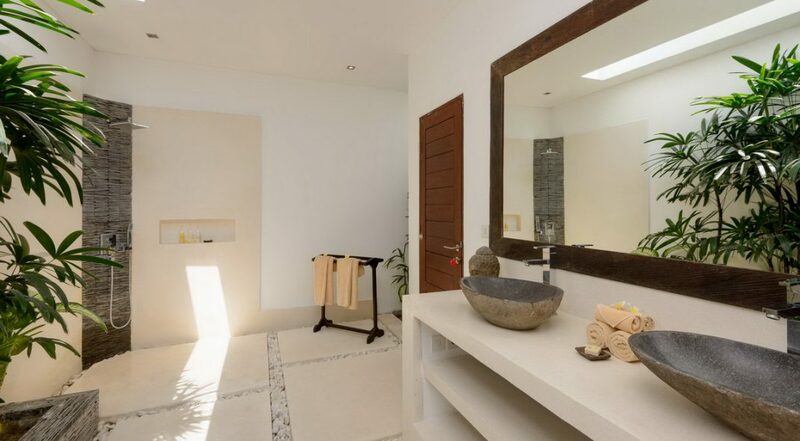 There are three stylish en-suite bedrooms that will cater for up to 6 guests. 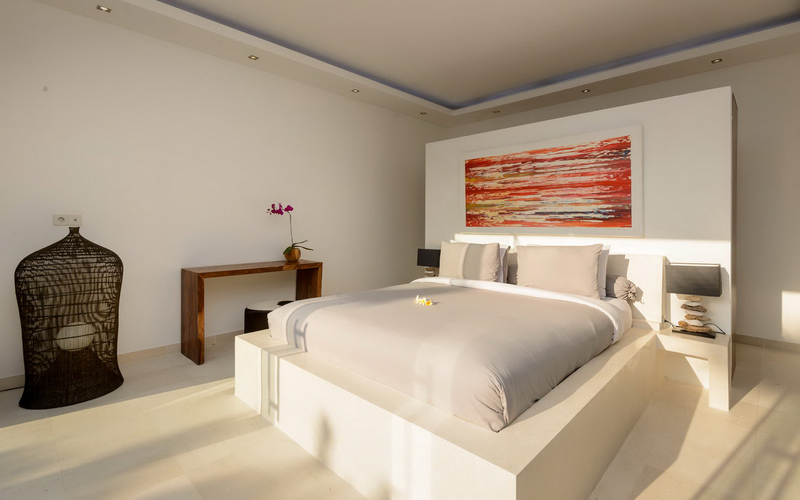 The room located by the living room features a queen size bed while the two poolside suites offer king size bedding. 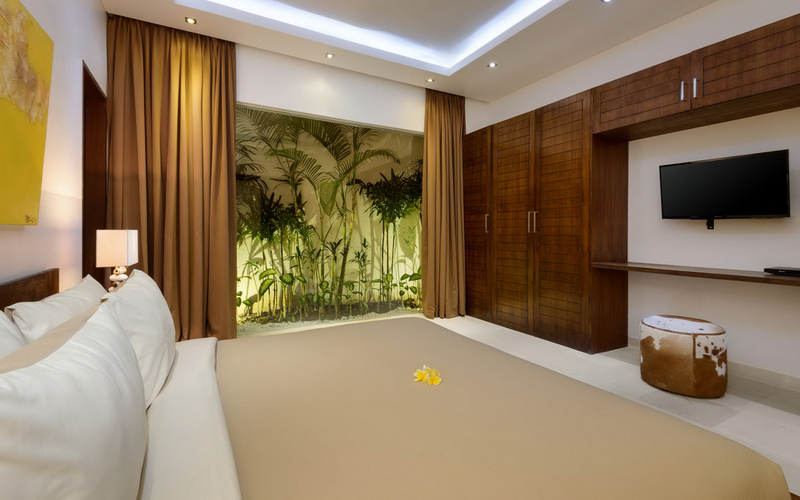 All rooms feature air-conditioning, plenty of storage space with a safety box and flat-screen TV with international channels. 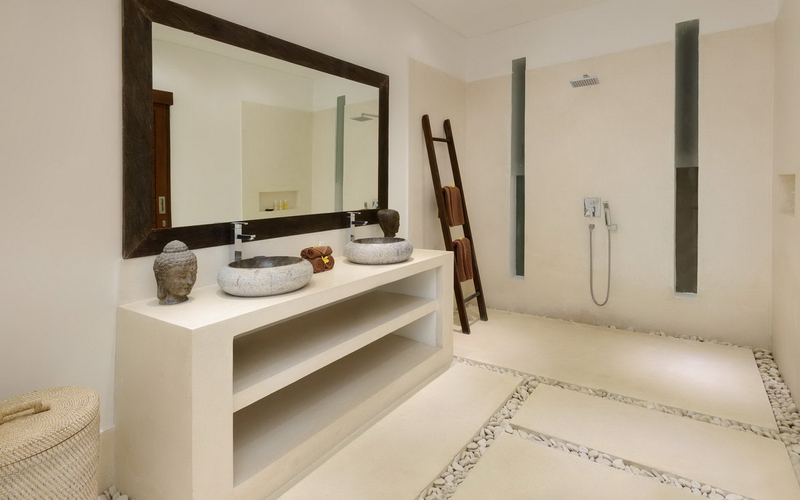 The master suite boasts a large terrazzo soaking tub and all en-suites feature monsoon showers. 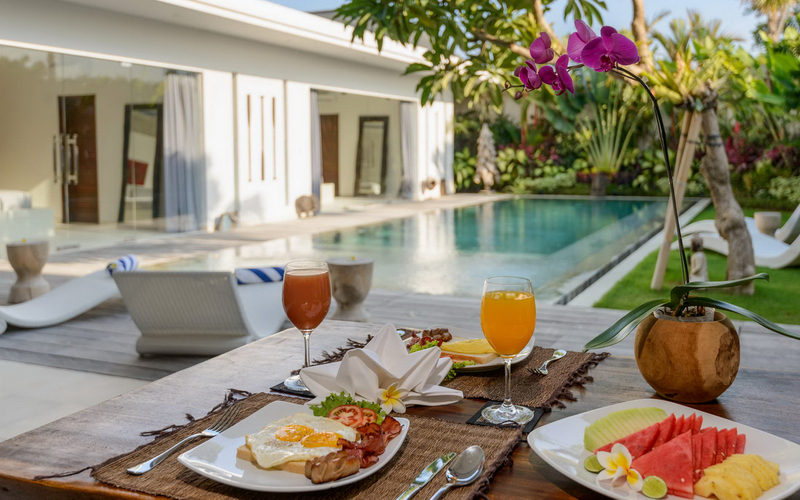 The villa manager will greet you with a warm Balinese welcome upon arrival and will oversee other villa staff including chefs, villa attendants and housekeeping staff. The staff will cater to all of your catering needs upon request, happily do any grocery shopping for you and handle any transport and other bookings. 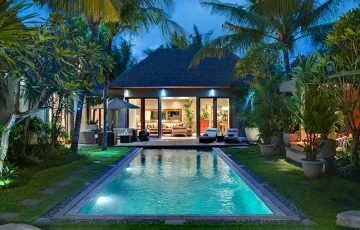 Villa Kyah is located just a 5 min drive from Seminyak’s famous Eat Street. 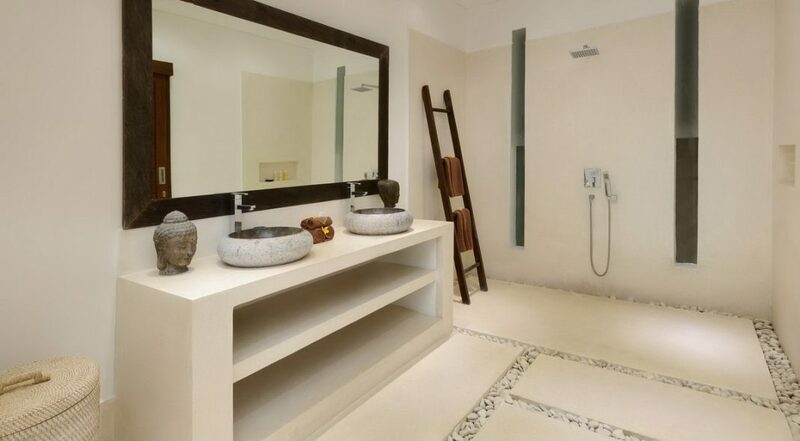 Closer to the villa guests can walk to Sunset Point shopping centre where you will find a supermarket with imported items, a selection of fast food outlets, ATM’s and a wine and spirits shop. 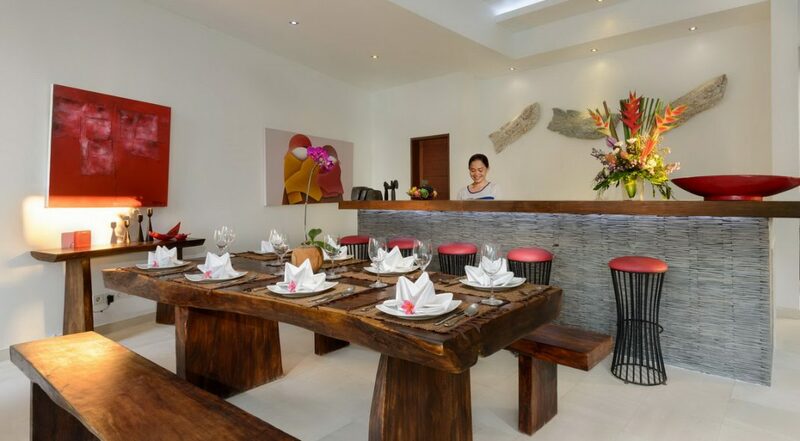 Some eateries close to the villa include Naughty Nuri’s for great pork ribs, Gusto Gelato, an ice creamery that is famed by many, Mama San, for fine dining and King Kebab for the best kebabs in Bali. If you feel like a coffee then the famous Revolver and Cornerhouse Cafe is nearby for your daily fix. 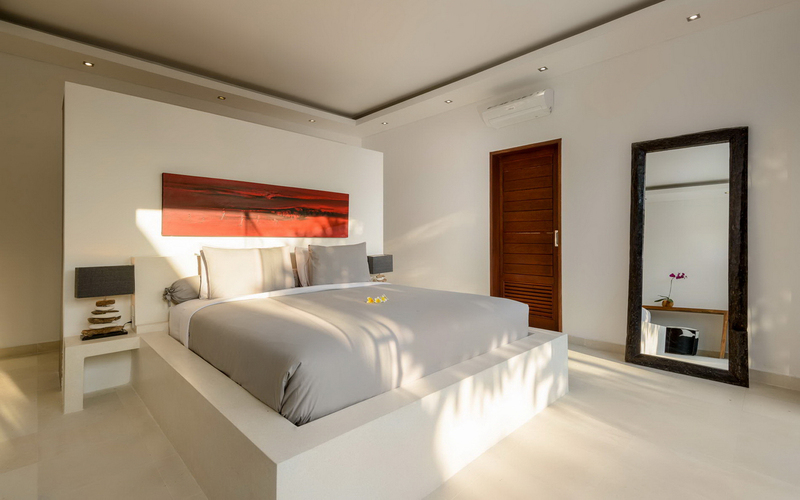 Make sure you visit Double Six beach nearby at sunset time where you can grab a bean bag at one of the many beach side cafes and enjoy a cold Bintang or cocktail. If your coming with kids then take them to the Waterbom Park which is a short taxi ride away. 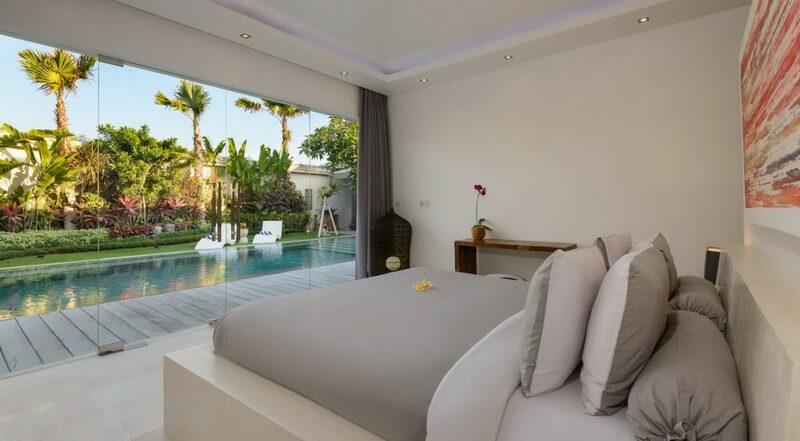 To view our full range of 3 bedroom Bali villas or see other Seminyak villas in the same price range please use this website or contact our reservation staff. 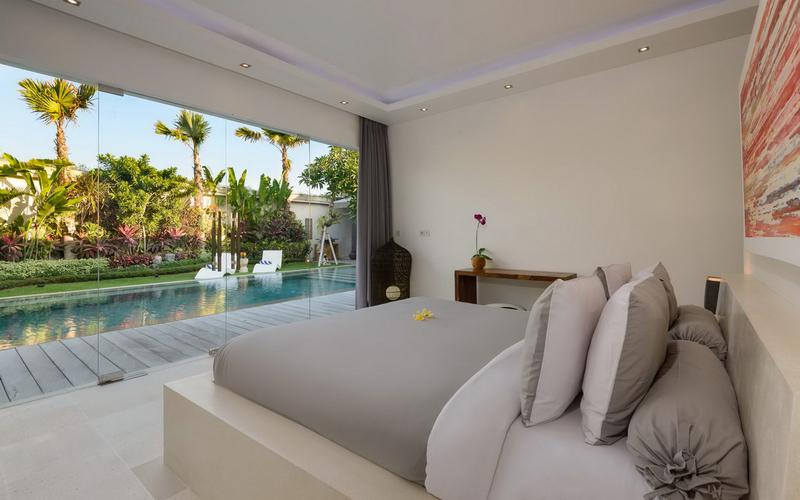 This is one of our most popular Seminayk villas so please book Villa Kyah well in advance, especially if your planning a holiday to Bali during the Australian school or public holidays. 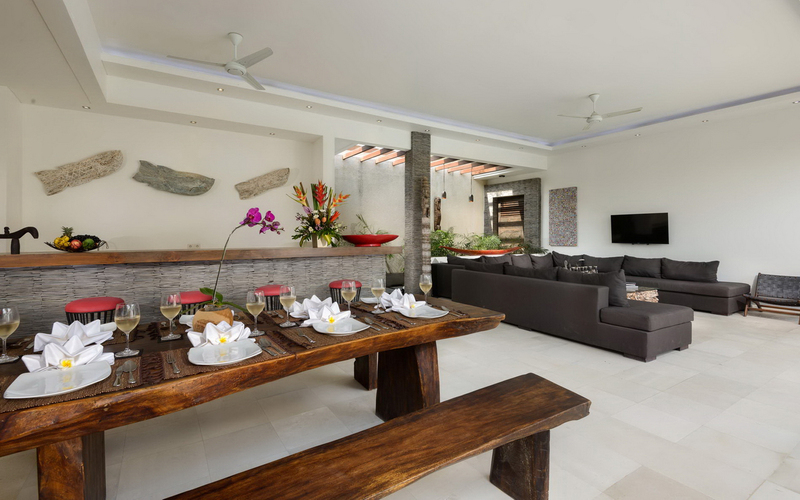 We spent 8 days here with our family and this villa was so much better than we expected. 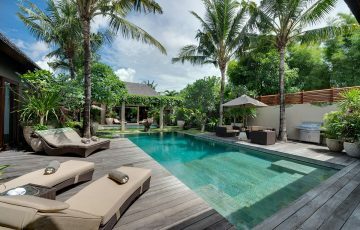 The kids enjoyed playing in the swimming pool & we just loved relaxing in the garden and soaking the wonderful, peaceful atmosphere. 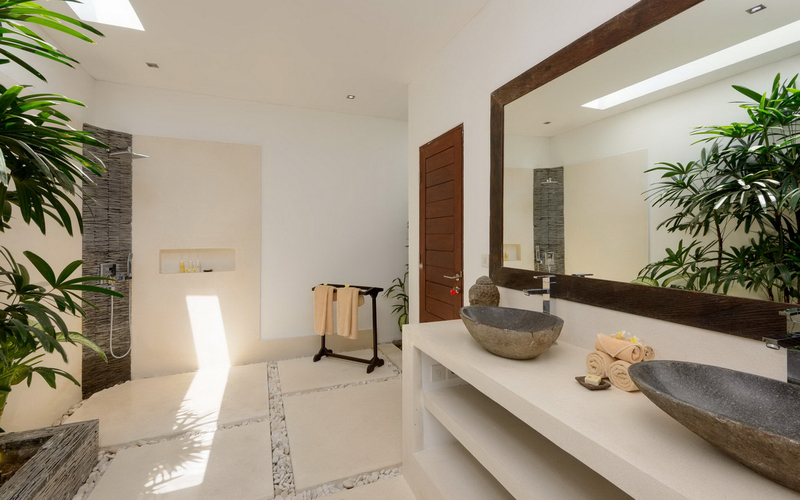 The villa staff were amazing and always very friendly making the whole experience simply perfect. The villa was in a fabulous position close to "Eat St' and when ever we wanted to go anywhere a taxi was always easy to get. 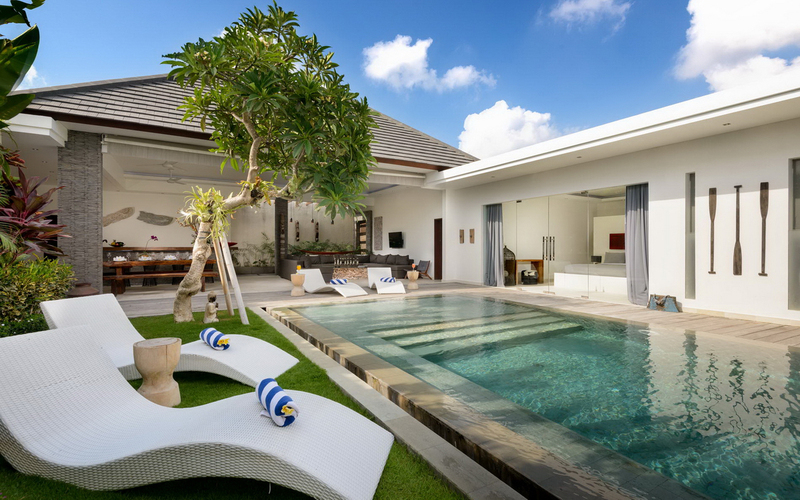 Loved this villa and we just want to thank Dewi & Ina at Bali Villa Escapes for organising this so quickly - easily a 10 out of 10! 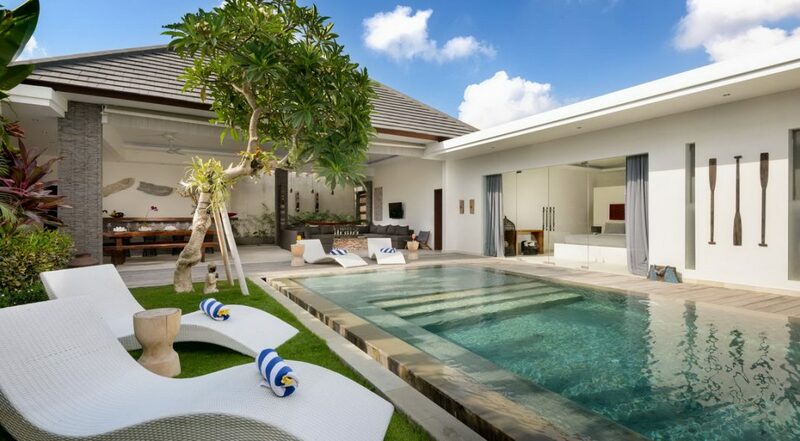 The pool, the facilities here at Kyah were all top notch and I seriously can't fault it - this was with out doubt one of the best family holidays we have ever been on and the villa absolutely made this trip. 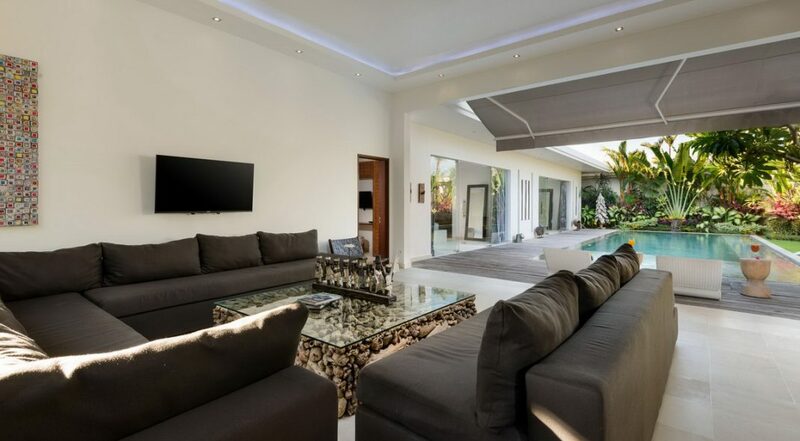 What a fabulous villa in a very good location! 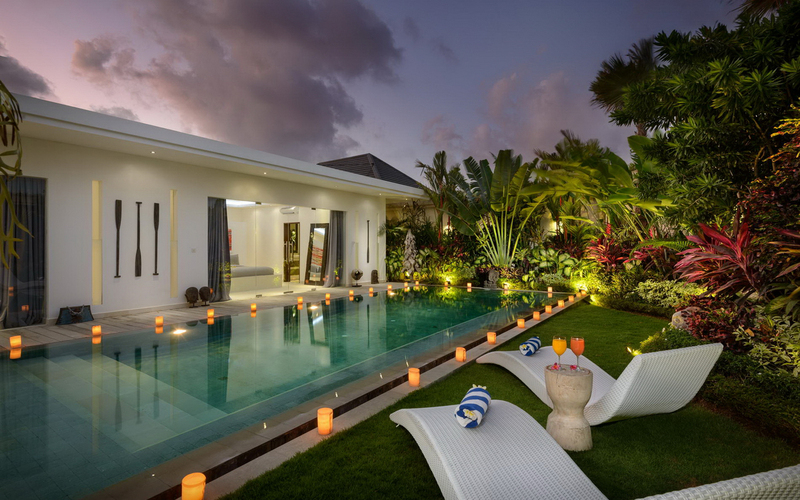 This was one of the best villas we have ever stayed in and we will be back on our next trip to Bali. Amazing value - try it at least once and see for yourself. We are finally home, safe and sound in Sweden. I would like to say a massive thank you for all your support in making our holiday so magical and memorable! Please pass on our sincere gratitude to Agung (Amazing Man! ), Widi, Putu, Komange & Komange, Pool staff, Gardeners and just everyone that we crossed paths with in Villa Kyah and Villa Bibi- we loved it! So much so we are making arrangements for next year! 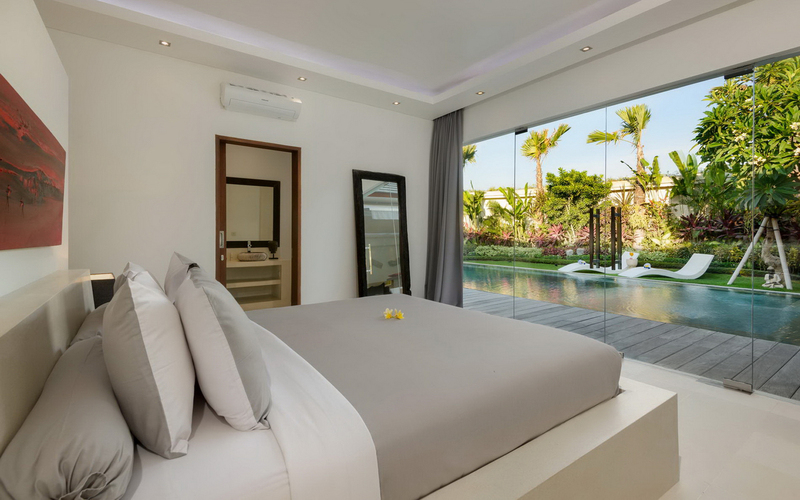 In regards to next year- do you guys do longer term rentals, say 4-6weeks? The pool was perfect for our family and we loved to be able to put the sun lounges in the shallow end and sun bake. Putu our manager was sensational and made a traditional Balinese lunch for us one day for the kids which was a real treat! 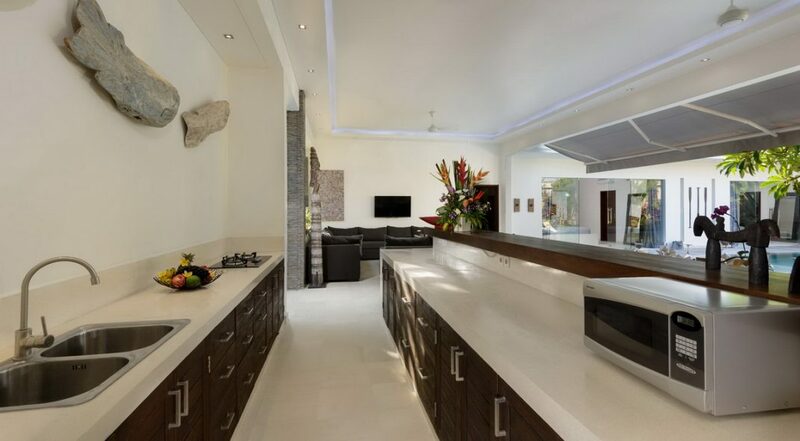 Villa was spacious and above all really clean. 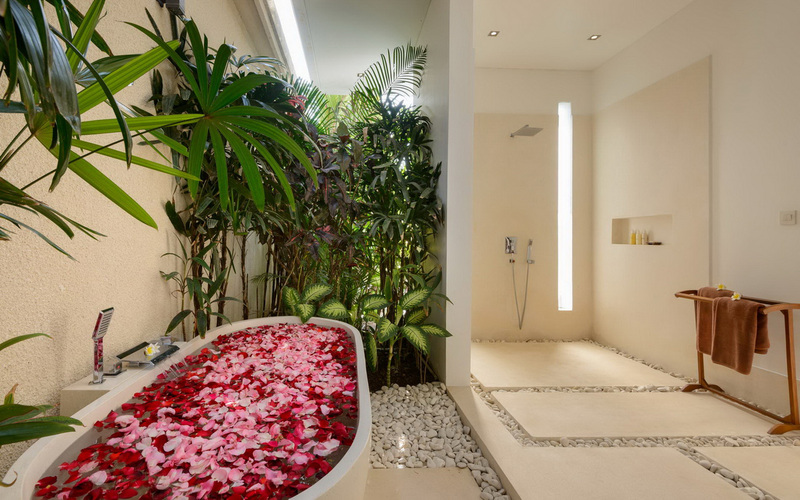 Definitely coming back for our second stay here. Villa Kyah was exactly the same as the photos. 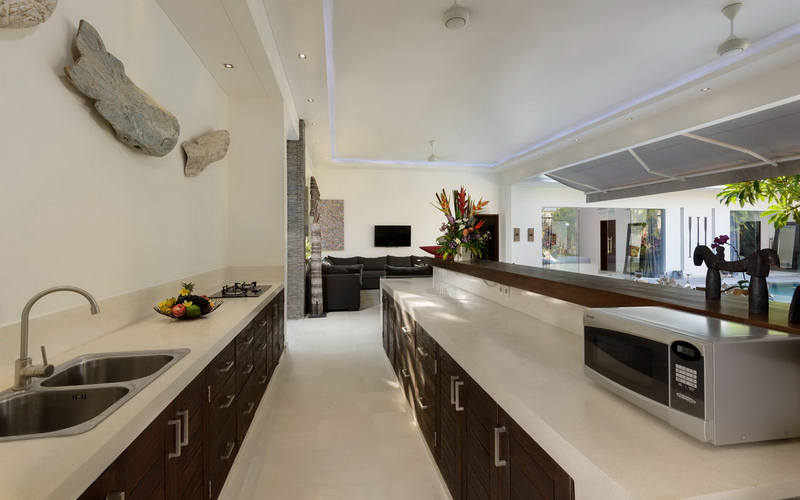 Modern, new, clean with a lovely pool. Amazing housekeeper who always had a smile on here face. The villa was slightly away from Eat Street but that was good as it was really quiet. Having said that, taxis were always nearby so getting there was literally a 5 min drive. Great value, good times!! 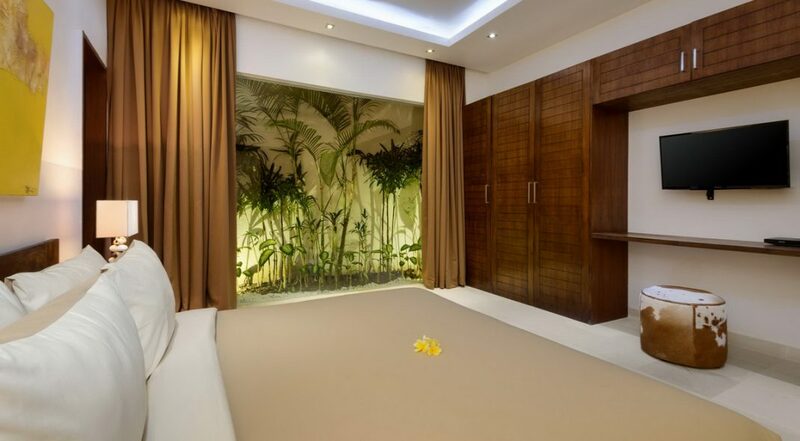 My daughters and I had a wonderful experience staying in our amazing villa in Bali. Everything was made so easy right from my initial enquiry until the holiday was over. Communication with a Sydney-based representative was reassuring, especially as it was my first time travelling as a single Mum overseas with my 4 daughters. 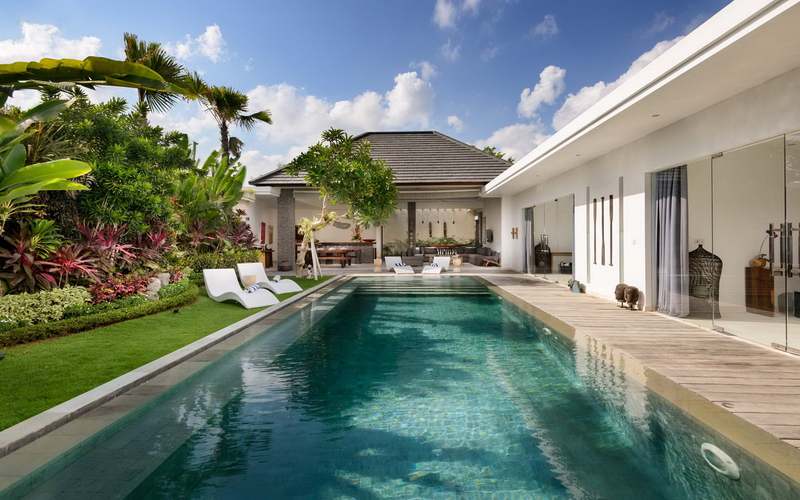 On arrival in Bali we had an airport transfer arranged by the villa staff and then once we were in the villa we were greeted by more staff who explained so much about Bali including what to do, places to visit, dining, shopping and more. 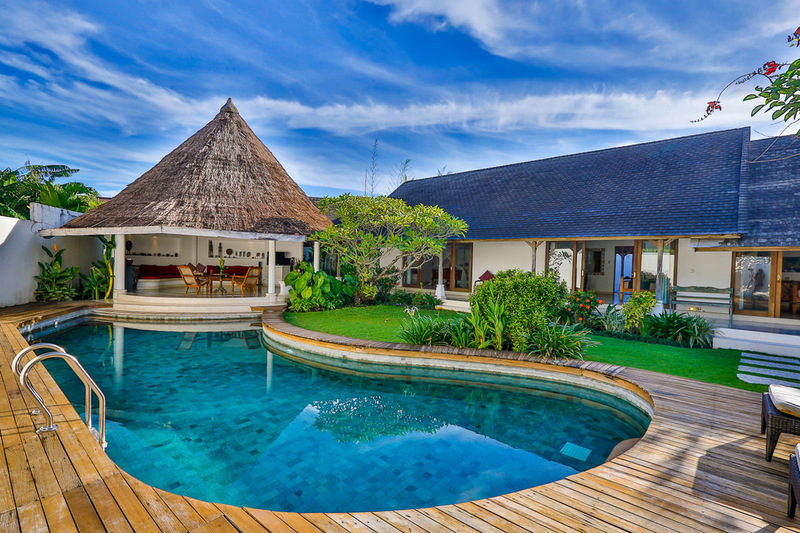 The Villa Kyah was honestly the most exclusive property. 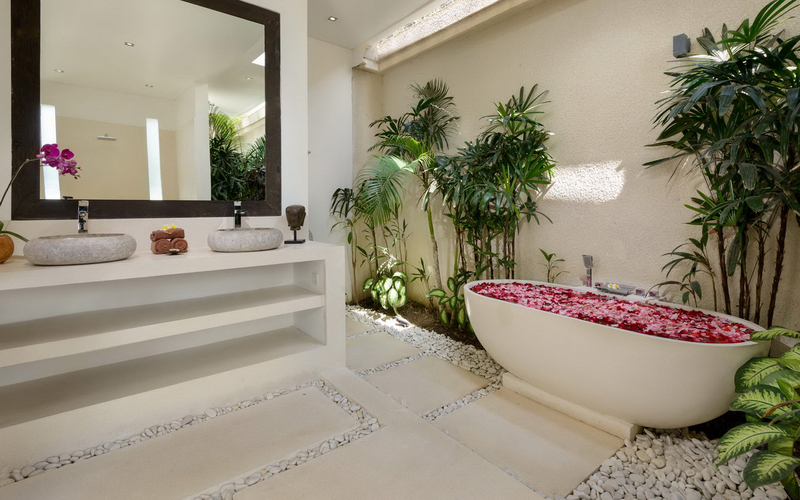 It was such a tranquil home in a quiet location. It was nothing short of 5 star! 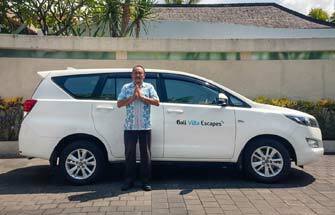 Thank you Bali Villa Escapes, I will definitely use your services again when I go back to Bali.